Known as the birthplace of professional baseball, Cincinnati, Ohio was settled in 1788 and is often remembered as a boomtown of the 19th Century. Being one of the first major inland cities in the country, Cincinnati’s major sources of early commerce were its ability to import via steamboats, the inception of Proctor and Gamble’s Ivory Soap and its position as the largest manufacturer of carriages in world. 1849 First city in the U.S. to hold a municipal song festival - Saengerfest. 1850 First city in the U.S. to establish a Jewish hospital. 1850 First city in the U.S. to publish greeting cards - Gibson Greeting Card Company. 1853 First practical steam fire engine. First city to establish a municipal fire department and first firemen’s pole. 1869 First city to establish a weather bureau. 1869 First professional baseball team - the Cincinnati Red Stockings, now known as the Cincinnati Reds. 1870 First city in the U.S. to establish a municipal university - University of Cincinnati. 1902 First concrete skyscraper built in the U.S. – the Ingalls Building. 1906 First university to offer cooperative education - University of Cincinnati. 1952 First heart-lung machine makes open heart surgery possible. Developed at Children’s Hospital Medical Center. 1954 First city to have a licensed Public television station – WCET TV. While industry has changed and the winds of business have shifted, the city of Cincinnati has not slowed down. Beginning in 2003, the landscape of Cincinnati began a boom of its own as Great American Ballpark, home to the Reds, and Paul Brown Stadium, home to the Bengals, surfaced. In addition to the new stadiums, the National Underground Railroad Freedom Center, the renovated Duke Energy Convention Center and the new Fountain Square all materialized shortly thereafter. This 1.4 billion infrastructure spending brought about great change to the city landscape and increased the appeal of both businesses and travelers. The City of Cincinnati takes great pride in its strides towards green living. The non-profit organization Partners for Livable Communities has listed Cincinnati as one of America’s More Livable Communities. Listed among the top 10 largest cities across the nation, Ohio was recognized for not only bringing growth to its region but for also working to improve the quality of life for its citizens. Cincinnati has become the first Green Power Community in Ohio and is also ranked sixth in the nation in the amount of green power bought by a community. Cincinnati uses 408 million kilowatt-hours of green power per year, this is enough to offset the carbon dioxide emissions of 60,000 cars a year. Residents of Cincinnati enjoy over 5,000 acres of city parkland. CNN ranked Cincinnati as having the seventh best parks in America. The city has also begun to participate in bike sharing, as many large cities do, and uses it and other services to encourage Cincinnatians to be car free. Fifty red bike stations are scattered throughout town to encourage residents and visitors to cut down on the amount of vehicular travel. The City of Cincinnati has been a pioneer in green living and is continuing its efforts to make green living a lifestyle rather than a political effort. The University of Cincinnati was named to the Princeton Review’s list of GREEN universities making it the only public university in Ohio to make the list. Cincyusa.com boasts a long list of ways the city is going green but efforts in education are striving to leave a lasting impact. Along with Ohio leading the nation, Cincinnati is leading Ohio for the most LEED (Leadership in Energy and Environmental Design) -registered schools. Leadership in Energy and Environmental Design (LEED) is one of the most popular green building certification programs used worldwide. With six LEED Green buildings, the University of Cincinnati has become a leader in sustainability. Cincinnati State offers a Renewable Energy major, as well as a Sustainable Design and Construction Certificate. Cincinnati Public Schools has started integrating sustainability into their K-12 curriculum. Cincinnati stays committed to its desire to be a Zero Waste city through its recycling program. City-wide curbside recycling was first introduced to resident and businesses in Cincinnati in 1989 and has steadily increased in participation. The growing number of textile waste is cumbersome and discouraging knowing that much of it can be put to use elsewhere. If you know you will be doing a large spring cleaning or replacing your carpets, Junk King is not only equipped to haul off your excess through its dumpster rentals, but also makes every effort to reuse, recycle or donate those items, thus helping push Cincinnati even closer to a zero-waste rating. As the concern for the environment increases, dumpster rentals are a great resource for everything from small scale clean outs to large scale demolition debris clean up. Roll off dumpsters serve to make disposals not only easier but also more responsible when using a company like Junk King that is committed to recycling and repurposing. Cincinnati has a unique partnership with Simple Recycling allowing residents to participate in the curbside recycling of housewares and clothing. While residents are strongly encouraged to donate any unwanted items, this unique opportunity makes it easy to ensure those items don’t end up unnecessarily in landfills. According the Green Cincinnati Plan, the city’s goal is to reduce landfill waste to zero as it seeks to view a good portion of so-called waste as valuable resources through recycling. The city is constantly measuring is recycling program to make it easier as residents are more inclined to participate in programs that require less work. Rumpke, the landfill local to Cincinnati, has been a source of complaints for Cincinnatians as the amount of waste continues to grow. Rather than seek new areas for landfills, government leadership in Cincinnati looks to waste reduction as the solution. The Green Cincinnati Plan also cites the commercial sector as responsible for approximately two-thirds of the waste in local landfills and has partnered with other entities to help reduce that waste. Junk King Cincinnati is a perfect fit for sustainability be it through commercial or residential cleanouts. There is ample opportunity to recycle in Cincinnati but as mentioned, simplicity makes all the difference! All items tossed into a Junk King roll away dumpster is taken to a recycling warehouse where employees take the time to sort each and every dumpster rental collection for metals, e-waste, paper, household goods, textiles, furniture and appliances before simply tossing more trash into the landfills. 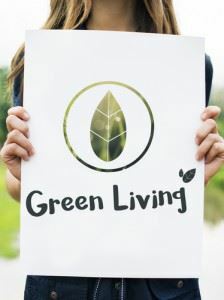 But “going green” also means Junk King is able to donate, repurpose, and reuse everything from clothing, toys, baby cribs and strollers to office furniture and supplies. Many of the Junk King trucks run on biodiesel, a domestically produced fuel made from more environmentally safe non-petroleum, renewable resources. Junk King is committed to continuing to lead the way to help keep the planet clean, green and beautiful for the generations to come. Just as Cincinnati is striving for, Junk King is also committed to a greener future for the city. MINI dumpster rentals are the most convenient and affordable way to remove trash, debris and junk from your home or business. Junk King Cincinnati provides quick and easy access to free quotes by phone or an online estimator. Simply choose a date and time to schedule your dumpster rental and contact Junk King for a quick estimate and your junk will be rolled away. With the Junk King MINI Dumpster, you are given three days to fill it on your own timetable before it is hauled away. The MINI Dumpster an easy, fast, purposeful way to remove your junk and debris. a. Junk King Cincinnati drops off a Junk King MINI dumpster - also referred to as a debris box. This is a 12-cubic yard, driveway friendly debris box and most household remodels and clean outs can easily fit in a Junk King MINI. a. Outside of hazardous waste — just about anything! Our MINI dumpsters are the perfect size to haul away furniture, appliances, textiles, construction debris, yard debris and more. a. Junk King Boston prides itself on offering fair, flexible cost estimates for its customers. Junk King is set apart in dumpster rentals because you only pay for the space you use. 4) How much time do I have? Junk King is committed to creating a more sustainable future and is ready to partner with the city of Cincinnati and its businesses and residents in its efforts to create a greener way of life. July 18, 2017 by J.S. July 18, 2017 by A.M. This entry was posted in Uncategorized and tagged Cincinnati Appliance Disposal, Cincinnati E-Waste, Get Rid of Junk Cincinnati on July 30, 2017 by Julian Torres, "JT". Last updated April 11, 2018 .